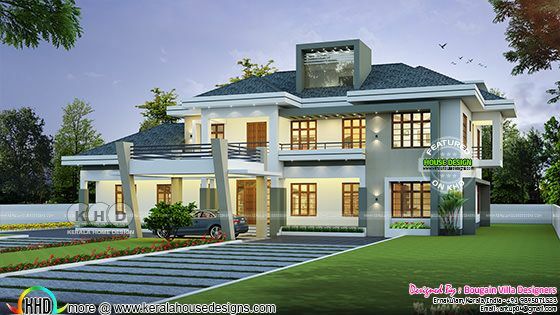 4850 Square Feet (451 Square Meter) (539 Square Yards) 5 bedroom classic style house plan. Designed by Bougain Villa Designers, Ernakulam, Kerala. 1 comments on "4 bedroom Classic style beautiful home plan"
Hi there, could you please tell me the estimated cost of this project.